The Management Information System (MIS) Directorate is headed by a director, Etta, Hannah Edim Ph.D AFIOR, FIPMD. Dr. Etta is an Animal geneticist, a Biotechnologist and an Educator with over 10 years teaching experience at both the post-primary and tertiary institution levels. She holds a B.Sc. in Biology(Hons. ), PGD in Guidance and Counseling, Education Administration and Planning, an M.Sc. in Animal Genetics and a Ph.D in Genetics and Biotechnology all from the University of Calabar. 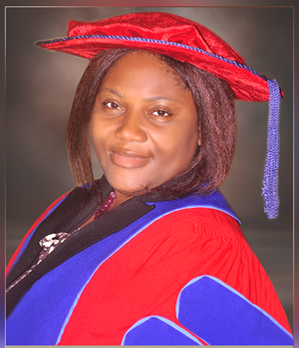 Dr. Etta is a member of several scientific societies some of which are Genetic Society of Nigeria, Genetic Society of America, Biotechnology Society of Nigeria, Nigerian Society of Experimental Biology, International Society for Animal Genetics, Institute of Operations Research Of Nigeria, Biopesticides Society of Nigeria, Association of Commonwealth Universities and Institute of Policy Management Development. Dr. Etta is certified in the use of Predictive Analytical Softwares and is prolific with computerization. She is an astute administrator that has served across the ranks as an academic board secretary, departmental board secretary, member of staff disciplinary committee, academic adviser, departmental PGD coordinator and examination officer and Director of Quality Assurance. Dr. Etta is a widely travelled researcher who has received several travel grants and awards some of which are Cross River State post graduate scholarship, CRUTECH Travel Grant, ETF Travel Grant and Bill and Melinda Gates’ TAGC Travel Award, to present papers in the United States of America, United Arab Emirates, United Kingdom and in States across Nigeria. She has thirty-four (34) local and international conference papers indexed in scopus, African Journals online and other indexing services. She is married to Pastor David Etta and the marriage is blessed with Kids. The MIS directorate welcomes all students back from the holidays! Returning students are advised to pay up their fees. The policy on 'No Fees, No results' stands. Please be reminded to direct all your result issues to the Directorate through your Heads of Departments. Any student portal issues should be lodged at the Directorate's help desk. Mission: To catalogue and automate the University’s information services for effective dissemination of information. Vision: Towards attaining an efficient and ubiquitous management information system for informed academic service delivery. The dawn of the digital age has made it mandatory for every institution to have a fully-functional Management Information System (MIS) and the Cross River University of Technology (CRUTECH) is not lagging behind. In CRUTECH, the MIS Unit serves as a knowledge management centre. It provides a formal system where students’ profiles are catalogued and automated thereby providing management with accurate, timely and up-to-date information necessary for decision making. What is today known as the MIS Unit was conceived in 1996 by Dr. I. U. Ugot, the then Rector of the erstwhile polytechnic, Calabar. Mr. Terence Eyo, the then Head of the Computer Centre also served as the officer-in-charge of the Unit with Mrs Victoria E. Edet as the only supporting staff. At that time, the major role of the MIS Unit was to collect, process, store and transmit information on staff records and students’ results to management on demand. With the advent of CRUTECH in September, 2002, the Unit continued to play its traditional role of collecting, processing, storing and transmitting information until 2010, when the Unit was restructured to assume additional responsibilities including administering the University’s Educational Portal System; with obvious implication of managing a more complicated and robust information apparatus. Consequently, today, the MIS Unit has become the pride of CRUTECH. It is the engine room for managing students’ profiles and providing up-to-date and prompt information for the University. The Unit is blessed with a team of very dedicated and committed staff who are working assiduously to ensure the realization of the University’s mission and vision. • Students Semester Course Registration. Ø How do I print authority to pay? o Answer: Login to the portal using your User Id and Password, Click on Transaction, Click on Fees, Select full or half Instalment, Click on Pay Fees, Choose the Payment Gateway ‘Interswitch (College Pay)’ then click on ‘Continue’ button, Click on Print. Ø How long can my authority to pay last? o Answer: Student Payment Invoice has no expiry date. Ø How do I request for change of course form? Ø How do I print my school fees receipt? o Answer: Login to the portal using your User Id and Password, Click on Transaction, Click on Online Payment, Put a start date and end date, click on the search button, click on print receipt to print the desired receipt. Ø How do I print my CRUTECH admission letter? o Answer: From 2014/2015 academic session, CRUTECH Admission letter is printed online, using the confirmation order and receipt number received from bank after payment of Acceptance Fee. Ø How do I edit my profile on my portal account? o Answer: Login with your User Id and Password, click on Transaction, click on Edit Profile, edit your profile as desired, then click save. Ø I have forgotten my portal password. What do I do? o Answer: Click on recover password on the Login page then put your username; click on send, the new password will be sent to your email. Ø My Account has been blocked, what do I do?